Garden design can be a very specialist subject and landscaping can be very daunting for the beginner. What grows in shade and what in sun? How far will it spread and how quickly? What about your soil type? Prevailing winds? Regional climate? Al these factors are second nature and part of the garden designer's skills. Garden Design, Landscaping, Garden Maintenance, Green Waste Removal, Plant & Vegetable Service, for new gardens or gardens in need of regeneration. Creative DIY and gardening blog with lots of helping ideas and 'how to' guides. Landscape gardener and garden designer, designing and building wildlife friendly gardens and nature ponds in Bristol, Bath and Somerset. Garden Design Software from Garden Design Pro. Professional 3D Garden Design vitrual program for Beginners, Designers and Landscapers to suit all CAD skill levels and budgets. Professional postal garden designs, UK-wide. Save money on a hand-drawn garden design produced to your requirements. Planting plans, construction details and 3-D sketches also available. An easy to use cost effective service providing professionally drawn garden designs, planting plans, technical drawings and specifications to help you build your perfect garden. Garden design in London, Kent and the South East. From a border to a complete garden design. Consultation, design plans and project management. 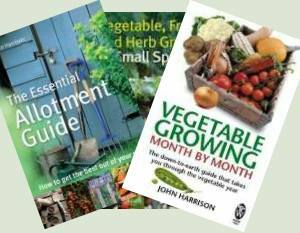 An online garden planning tool for growing fruit & vegetables. Makes it easy to see how to space crops, calculates how many of each will fit in the space and will even email reminders of when to sow and plant out. Crop rotation is built in. Your Garden provides garden design and landscape construction services in Merseyside and Cheshire.